The name Acura has long been synonymous with safety, and the AcuraWatch™ system furthers that proud tradition. A full suite of safety innovations, AcuraWatch™ is available on the full lineup of Acura vehicles, keeping Murray, UT drivers safe on the road for miles to come. 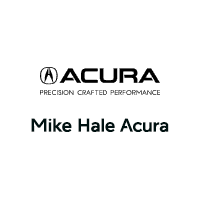 Read on to learn more about this innovative safety-suite at Mike Hale Acura! This feature sends out radar signals in front of the vehicle to detect if a potential forward collision might occur. When it detects this possibility, it sends a warning to the drive, and if the driver fails to react then it intervenes by applying the brakes automatically. This feature uses a camera that faces the road ahead of the vehicle and is able to determine if the vehicle is drifting out of the center of its lane. When it is, the vehicle uses precisely directed torque to guide the vehicle back to the center of its lane. When cruise control is set with this feature, you won’t have to worry about braking and accelerating to maintain a safe distance between your car and the one in front of you because this feature does that work for you. If your vehicle is in danger of going off the road, this system sends a warning and is able to intervene to make sure your car stays on the road. Test drive one of our many new vehicles today, or contact us with questions or concerns.